Deflagration Flame Arresters are used to protect stored or process media from deflagrations. A deflagration flame arrester can be used on the top of a tank or as an in-line safety device where combustible gases are transported through low pressure pipe lines. In-line deflagration arresters are designed to prevent propagation of flames in gas or vapour mixtures. By locating the arrester in close proximity to the potential source of ignition, any flame or explosion is confined to the immediate area. 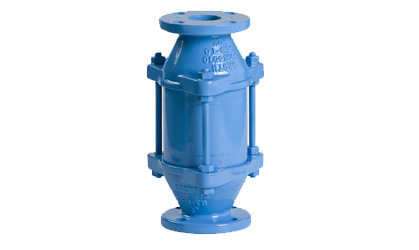 The Groth deflagration arrester is designed to inhibit flame and deflagration propagation in gas piping systems and to protect low pressure tanks containing flammable liquids. 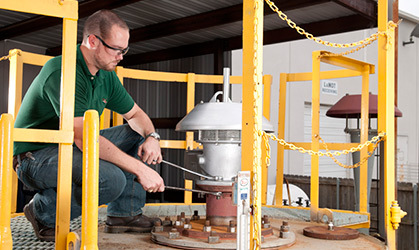 Arresters protect low flash point liquids from externally caused sources of heat and ignition. This provides increased fire protection and safety.